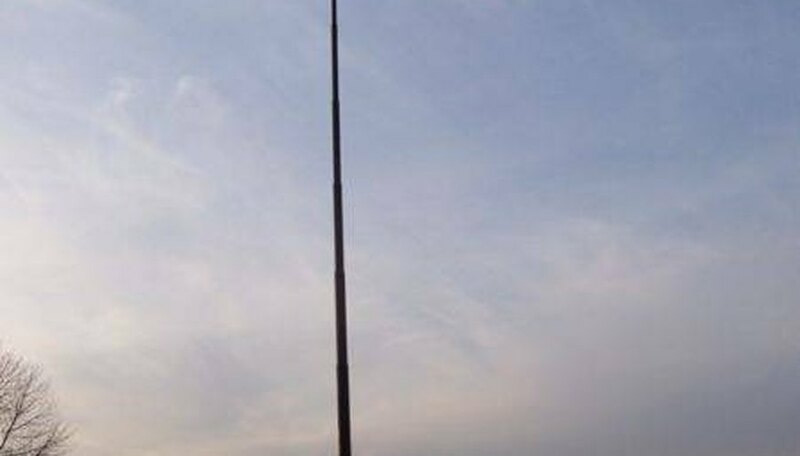 Flying a flag is an easy task if the flag is already set up to be hooked, but what do you do if you are starting from scratch or need to fix an old flagpole set-up? Follow this guide to secure a new flag or to replace the hooks on an old flag. Measure the distance between the grommets, or eyelets rimmed by metal or plastic, on your flag. The distance between the snap hooks attached to the rope will need to be the same. Check to make sure that any knots or other obstacles that would block the flagpole's rope pulleys are at the bottom of the loop. Thread the rope by pushing the loop through the eye of the hook, running it over the top and pulling it down until it tightens around the neck. Snap the hooks onto the flag grommets to secure the flag.